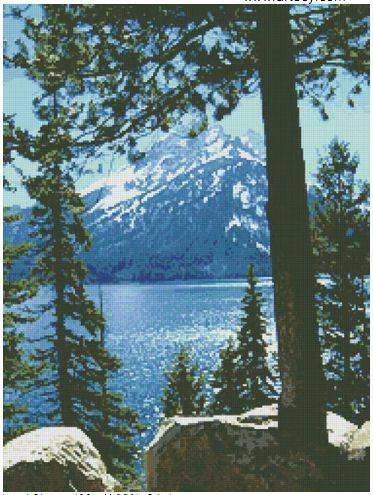 Jenny Lake cross stitch pattern... Created from a photograph by Marj Smith. Jenny Lake is located in Grand Teton National Park in Wyoming.